What is note-taking? It is the process of writing down important information from a class so you can review and study it later. There are different ways to take notes so find a way that works for you! Understand that note-taking is a long process and a skill that you develop over time. So we put together some simple tips on how you can take notes! Organization is the key. So it is very important to keep your notes separate from other pieces of paper, like homework, hand-outs, or worksheets. You should create a separate section for your notes. 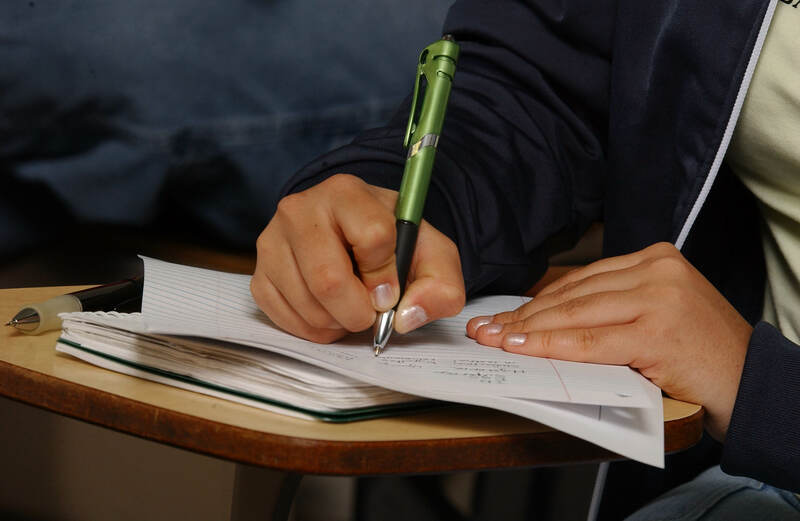 Writing your notes on a piece of loose leaf is a good idea, but if you tend to lose your papers, it might be best to write your notes in a notebook. Before you start taking notes, write down the date of the class and the lesson title. This way, you can easily track your notes and figure out what was discussed during each class. Then sort your notes chronologically by date. Do not be afraid to ask your teacher to repeat any information you missed. If your teacher is going too fast for you, chances are your classmates will also feel the same. If you are shy and do not want to ask during class, talk to your teacher after class. Remember, everyone has their own way of taking notes. You will have to figure out and find the best way that will work for you!